Whether you are fresh out of film school, or coming into the industry with a completely blank slate, here are some tips to securing a job on set. If you have film industry contacts: contact them and ask if they have any leads, or if they’re working on a production that might need some more hands. Be polite but persistent, and ask them to keep you in mind for future work if nothing is currently available. If you don’t know a single person in the film industry: ask your friends, your parents, or friends of the family if they know anyone who currently works in film. Sometimes a referral is all you need to get a chance at your first entry level position. Vancouver is booming right now, and you likely know someone – or someone who knows someone – that works on set. The Motion Picture Industry Orientation* course was developed in partnership between Creative BC, MPPIA and industry labour organizations. The two-day course is a mandatory entry requirement for most BC-based film unions, and is absolutely vital to stand out from the crowd when you apply for an entry level position. *InFocus Film School offers this course – find more information here. Creative BC provides a comprehensive and up-to-date list of all the productions currently shooting in British Columbia, along with contact e-mails for each. Put together a resume that provides any relevant job experience, workshops and education and pair it with a concise cover letter. It always helps to have an insider contact, but it’s not necessary to get hired for an entry level position. All you need is a good attitude and a little luck. One of the best ways to attract attention as a film industry professional is to establish a web presence. A website can feature your demo reel, describe your services and show testimonials from past clients. Creating videos on Vimeo or Youtube is another great idea, because you can cultivate a body of work to serve as your portfolio. Face-to-face networking always has it’s benefits, and there are a number of companies online where you can order inexpensive business cards. If you’re committed to your craft and prefer being your own boss, freelancing might be the ideal gig for you. There are several jobs in the film industry that are built for freelancing – video editing, camera work, audio engineering, and more. This option requires considerably more effort as you’re building your clientele, but it can be a very rewarding career move. Choose to specialize in one particular skill, and work to make a name for yourself. There are many paths that lead to working in the film industry, as any established professional will tell you. The one thing they all have in common is dedication. Flexibility is an added bonus – sometimes accepting a position that’s outside your skill set can be a challenging and advantageous decision. What Can We Learn From Silent Films In The Digital Age? The era of silent films lasted from 1894 to 1929, and left a profound mark on the cinematic arts. Even today, with technology that allows us to shoot high quality videos on our smart phones, and download and use open source special f/x software, the charm of silent film remains unabated. In 2011 the French silent film The Artist swept the Oscars, winning five major awards, including Best Picture, Best Director and Best Actor. It was not only a critical success, but a financial one as well, with a worldwide gross of over $13 million. This common piece of advice for writers may very well be the mantra for all silent films. Without the convention of long, exposition-heavy monologues, silent storytelling relies entirely on visual elements. When you find yourself explaining the plot through your characters, think about what you can do to write a scene that displays it instead. Although silent films did not have a synchronized audio track, theatres would hire a house piano player to provide improvisational musical accompaniment. In 1910 the concept of the “compilation score” was created, a cue sheet that specified which songs should be played during which parts of the film. Music aided in creating atmosphere, establishing mood and connecting the audience to the story, encouraging them to suspend their disbelief. Music has a voice of its own, and can be instrumental in providing context to a scene. Communicating the plot of a film without dialogue is a unique challenge, but it is possible – even for storylines that don’t seem able to handle such an adaptation. A good example is the famous literary detective, Sherlock Holmes, whose film debut was in the 1900 short, Sherlock Holmes Baffled. It was no doubt a challenge to present a mystery without dialogue, but it was done eight more times during the silent film era. Consider the complexity of your storylines, and whether or not they can be reimagined with a focus on clarity. There is much to be learned from the cinematography of silent films. When they were first in production, silent films not only lacked synchronized audio, but also colour film. Although some filmmakers opted to add a pop of colour to their movies by painstakingly tinting each frame by hand, the majority of them worked entirely within the realms of black and white, focusing on framing, depth, and shadows. When you strip away the common fallbacks of modern film (special f/x, flashy action sequences, etc) the visuals must act as a foundation for the story, inviting the audience to completely immerse themselves in a new world. Silent film is built into the foundation of film history, and acts as inspiration for many modern filmmakers. InFocus Film School nurtures this art form by assigning students to write, shoot and edit their own silent film during their studies here. https://infocusfilmschool.com/wp-content/uploads/2018/01/blue-circle-logo-2.png 0 0 InFocus Film School https://infocusfilmschool.com/wp-content/uploads/2018/01/blue-circle-logo-2.png InFocus Film School2016-11-15 10:57:522016-11-15 14:28:09What Can We Learn From Silent Films In The Digital Age? Before Gareth Edwards was behind the helm of the reboot of Godzilla (2014) and the upcoming Rogue One: A Star Wars Story (2016) he directed, wrote, shot and created the visual effects for his breakout sci-fi indie film Monsters. With a production budget of just under $15,000 the film was shot in Mexico, Belize, Guatemala, Costa Rica and Texas with a crew so small that they were all able to drive together in a seven-passenger van. After picture lock Edwards spent five months working out of his studio apartment, where he created all 250 of the visual f/x shots using Adobe software, Autodesk 3ds Max and ZBrush. When the topic of low budget sci-fi indie films comes up, it’s hard not to mention the absolute powerhouse that is Primer, a movie that Shane Carruth directed, produced, wrote, scored and starred in. During its 2004 debut it won the grand jury prize at the Sundance Film Festival, alongside the Alfred P. Sloan Foundation prize. With a shooting budget of $7,000, Carruth’s film tackled the notoriously difficult topic of time travel. While this concept is absolutely within the realm of science fiction, this portrayal has been praised for being represented in a down-to-earth manner that enforces a kind of realism that is not commonly seen in this genre. Directed by Charlie McDowell (the son of Malcolm McDowell) and produced by mumblecore giants Jay and Mark Duplass, The One That I Love is a welcome homage to the classic sci-fi television series The Twilight Zone (1959–1964), taking an ordinary couple and dropping them into a bizarre ethical quandary. With an estimated budget of $100,000 (aided perhaps by the fact that filming took place at the home of McDowell’s parents), this film is a reminder that sci-fi isn’t necessarily synonymous with battle in space, or giant monsters. A speculative concept can stay true to it’s science fiction heritage and be an incredibly powerful tool to understand human behavior. InFocus film students are acquiring the skills needed to work on a professional film set. But what happens when a Hollywood production comes to a film school instead? That’s precisely what happened when Warner Bros. was scouting locations for its television program Frequency and decided our brick-wall rooms would serve as an ideal backdrop for an episode, according to Program Director Steve Rosenberg. InFocus film students were accorded insider access to the production that saw the transformation of two adjoining classrooms into a New York-style apartment. Barton was pleased to hear the pros use phrases like “shutter angle” and “ISO rating” that corresponded to the terminology he had learned in school. Additionally, Barton had a vague idea of what a script supervisor was, but through close quarters he was able to gain a deeper understanding of the job. “The difference on a big set is that the crew is more specialized, whereas on our shoots we are more actively involved in all areas,” he added. The experience has confirmed for Barton that he’d like to direct. A lasting impression is in how the episode’s director was a constant source of inspiration and joy to the team. Another student, Robin Jung, is no stranger to union sets. An actor with appearances on the series Fringe and the feature Bloody Knuckles, Jung was already prepared for the scale of the Frequency production. Jung was amazed at the length of time it took to reset between takes and how the director would speak between the actors’ lines to guide the Steadicam operator on where to move. The students will have further opportunities to observe and learn when Frequency returns to InFocus for planned reshoots. Want to get your short film funded? Since 1999 the 8 day filmmaking challenge, aptly named the Crazy8s, has provided funding for nearly one hundred emerging filmmakers. Each year over one-hundred teams apply to the competition and six are awarded $1,000 and a production package that includes everything they need to make their film. Paul Armstrong is an award-winning Vancouver producer, founder and programmer of the The Celluloid Social Club and the Executive Director of the Crazy8 filmmaking challenge. He provided some valuable insight for hopeful Crazy8s applicants who are considering entering this year’s competition. What are the most compelling qualities you look for in a filmmaker’s pitch? How original is the story and how well is it told. Does it have a beginning, middle and end? Is it more than just a series of action and plot points? What does it all add up to? Why is this story worth telling? How passionate is the pitcher about the story in giving their pitch? Without enthusiasm on their part it’s hard to instil that excitement to get this film made in the judges. Do I have the confidence that the filmmaker can pull off this film with the resources they have to make the film. Have they thought about the practicalities of creating their film? Does the story speak to me on a personal level – do I connect with it. Film is a communication device and is that working here? Are there any genres or subjects that get pitched far too often? PA: With Crazy8s we welcome all genres and subjects – it’s up to the filmmaker to find whatever vehicle works to tell their story. The final six films are usually a mixture of dramas, comedies and genre such as science fiction or horror. That said each year there seems to be a common theme among many of the pitches and that can count against them as the judges would only want a certain number on a similar theme but we never know what that is until we get the pitches. What is the best way for a filmmaker to stand out from the crowd? PA: One of the best ways for a filmmaker to stand out from the crowd is to create a brilliant story that we can’t but help to say yes to. The other is to be yourself and to express that uniqueness in your film. Don’t presume what we are looking for in terms of what was made in the past or what is currently trendy. Another way of doing it is to make your actual pitch original by including a taste of the tone of the film in the pitch rather than just a talking head pitch, which is fine too. What are some of the worst mistakes people make while pitching? PA: Some of the worst mistakes people make while pitching is to pitch an underdeveloped story where maybe the end isn’t complete or there isn’t a story arc. In other words they haven’t conveyed to us why this story is worth telling over another one. Another mistake is that the pitcher doesn’t show enthusiasm or passion and they get too complacent. Another mistake is that they forget to talk about themselves. We need to know who the pitcher is to gain confidence they can make the film. In addition some pitches are sometimes not polished enough. So be sure to rehearse your pitch and to fix any technical problems with it. The Crazy8s Registration Deadline is November 2nd, 2016. What’s the Best Recording Mic? Sound is often the most overlooked aspect of production for unseasoned filmmakers. Compared to the excitement that goes hand-in-hand with selecting the camera, sound can be an afterthought: a single line on an already overwrought budget, packed with expenses that are much more immediately compelling than the eventual audio technician leaning over his mixing board. The importance of clear, well recorded audio may not become apparent until after the shoot has been completed and the editor first sits downs, only to hear a cacophony of background chatter, overmodulation, and that car alarm that didn’t seem quite so loud when you were on location. Instead of planning to “fix it in post,” choose wisely when selecting your sound equipment for a sure-fire audio strategy. These button-sized microphones are frequently seen in documentary productions, tucked into the lapel of an interview subject. Although they are fairly low profile they require a somewhat bulky transmitter, a black box the size of a pack of cards that can connect with or without a wire to the microphone, usually secured in the back pocket of the subject. While filming a dramatic production an unfortunate glimpse of the sound equipment is something to be avoided. But when used correctly there are several excellent uses for lavs in film. Wide Shots: When the shot is simply too wide to facilitate a boom but you would prefer not to use ADR to record dialogue, a lav will come in handy. Distance is an excellent camouflage for these mics that may easily be spotted in a close up shot. Tricky Shots: Locations can prove challenging when it comes to finding a place to hang the boom. In these cases lavs may provide a solution for the tightest of spaces. With some careful placement, lavs can be rendered largely undetectable in a shot. Backup Audio: Sometimes location sound cannot be avoided, be it the drone of a helicopter that is hovering above your set, or the ceaseless siren that is cutting into your schedule. If you are able to hide the lav discreetly on the actor it can be used as a secondary source of audio for the editor to work with in post. The image of the pole-bearing boom operator is synonymous with film production. This method of capturing audio is made up of several working parts: a shotgun mic, the furry wind-shield cover (aptly nicknamed the ‘deadcat’) and the pole that these items are mounted on. The front of the mic is suspended above the subject just out of view of the camera, to capture dialogue. Full Control: While a rogue lav mic is impossible to fix without stopping a scene, a boom operator doesn’t have to interrupt the action to modify the position of his microphone. Freedom of Costume: lav mics can pick up the rustle of clothing, a sound that can render a recording unusable. Booms are a reliable way to record and do not require the subject to take special care with their clothing. Natural Audio: The sound that the boom picks up is superior to the lav in terms of natural tones. The ability to point the shotgun mic at the subject’s sternum instead of their mouth produces a more natural quality of recording. Like every other element of filmmaking, sound recording will require some thought and preparation. Select the method of audio recording that works best with your budget and production, and if you’re able to, consider employing the use of each for the appropriate scenes in your film. Screenplays are a means to a finished film. Many industry people consider them blueprints. However, this comparison isn’t completely accurate. A well-written screenplay isn’t a sterile, skeletal, monochromatic set of action lines inserted between the dialogue. Word choices impact the sight and senses of the reader. In that regard, a screenplay has more in common with a short story. The experience of reading a screenplay should approximate what the viewing of the movie will be like. In fact, another term for action lines is screen directions. Writers may be hesitant to “direct on the page” in the misguided belief they are treading on the director’s job. This results in action lines comprised mainly of master shots that severely limit the potential of a script to translate into a uniquely visual motion picture. Students at our film school are encouraged to craft effective action lines so that all departments—production, cinematography, art, sound, costume, hair and makeup, locations, electrical, visual effects—are working toward the same movie. This is Spinal Tap. Waiting for Guffman. A Hard Day’s Night. The second half of the 20th century saw the birth of an entirely new genre of film where fictional events were presented as truth: the mockumentary. From the very beginning it served as a self aware tongue-in-cheek device to critique modern culture, touching on everything from the music industry to foreign affairs to the supernatural. The 2000’s have seen a resurgence of this genre, as it continues to evolve in new and innovative ways. 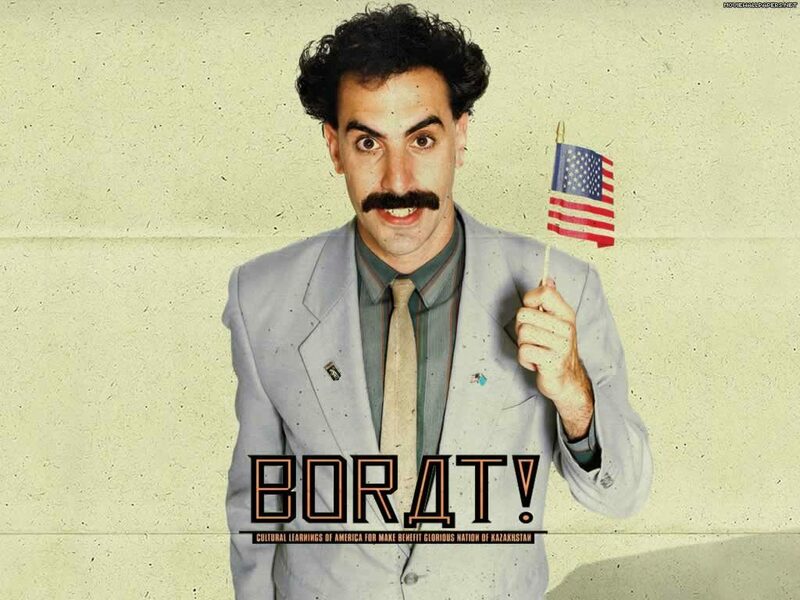 In the 2006 film Borat, Sascha Baron Cohen put a twist on the genre, unleashing his character on real-life Americans who believed they were appearing in an actual documentary. In 2010 the Casey Affleck film I’m Still Here briefly had the world convinced that Joaquin Phoenix had gone absolutely insane, all for this satirical look at celebrity culture. What We Do in the Shadows, the 2014 comedy directed and starring Taika Waititi and Jemaine Clement, took a look at the day to day life of vampires.